You would think turning 125 years old would give one reason to slow down, but that certainly is not the case for MAS! The last few weeks have been a whirlwind of important milestones on major issues that matter to us and many of you. 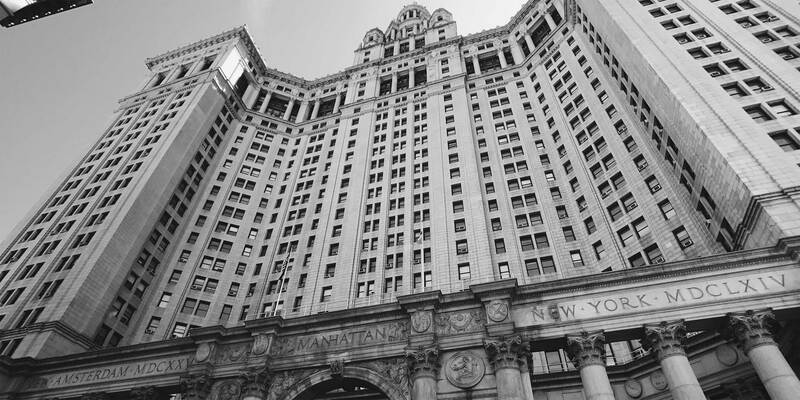 This Tuesday found MAS testifying on two major City actions whose outcomes will have far-reaching impact: the challenge to 200 Amsterdam Avenue at the Board of Standards and Appeals (BSA) and the rules amendments proposed by the Landmarks Preservation Commission (LPC). The David N. Dinkins Manhattan Municipal Building. Photo: Wikimedia Commons, Ningyuan Hu. The day began in a packed hearing room where the LPC heard testimony on its reform proposal. The new regulations are geared towards clarifying existing rules, adding new ones, and generally reorganizing the document in a way that makes them more understandable to the public–applicants and advocates alike. The Commission anticipates an ever-increasing caseload as new properties are designated. The goal was to provide sufficient guidance to allow more decisions to be made at the staff level. This direction has caused some understandable concerns about the transparency of the regulatory process. In the end, after a very careful review of the proposed rules and with the advice and support of our Preservation Committee, MAS expressed support for these changes–with conditions. We strongly urged the Commission itself to establish tools to oversee the staff-level process on an annual basis, as well as make staff-level decisions more easily accessible to the public. As you know, we produced new maps this month using information from the City’s Open Data portal. Having a baseline is critical to looking at citywide permitting so that anyone–citizen or Commissioner–may comprehend the trends in decision-making. We also recommended that certain decisions remain under the purview of the Commission. According to some of our partners who stayed to the bitter end, the Commission took public comment until mid-afternoon and then held the item open until their May meeting. So if you have thoughts and comments of your own, there is still time to submit them. After my stint at the LPC, I hurried around the corner and down the street to the BSA for a hearing on the appeal brought by the Committee for Environmentally Sound Development. I found myself in another packed hearing room, surrounded by proponents and opponents of the appeal, which sought to revoke the building permit for the controversial supertall proposed for 200 Amsterdam Avenue. It was so crowded that the fire marshal was turning people out of the room and into the lobby of Spector Hall. The BSA decided to hear testimony from elected officials and the public before they heard from the lawyers on both sides of the appeal. I know I am a little biased but I think the proponents of the appeal did a great job making their case. Allowing this building to move forward in light of the inherent inconsistencies in the permit process would set a very harmful precedent in allowing developers to skirt the provisions of the zoning resolution. In the end, rather than issue a decision as we had hoped, the BSA chose to revisit the item on June 5, which means foundation work will be allowed to continue at the site for the time being. At that point I was due back at the office, so I was off to Midtown. Just another busy day at MAS–and I hadn’t even had lunch yet! One final observation about the public hearing process in New York City… Why are we still using late 20th century meeting technology? No simulcast video, no functional speaker systems for those in the back of the room (let alone anyone stuck in the outer chambers), no cached hearing records for those who can’t be there in person? It is unacceptable that the public is so hampered by a lack of technological access to their own government! Okay, I am off my soap box until next month. Best wishes for a wonderful holiday to those who celebrate, and a beautiful spring weekend to all! I really appreciate all your support.